Brilliant price for this PCIe based SSD. Having a look around it's much more expensive elsewhere, so if you are looking for an upgrade now may be the time. The smart choice in NVMe SSDsIf you're looking for the next great advance in PC performance, the Samsung 960 EVO is a smart choice. 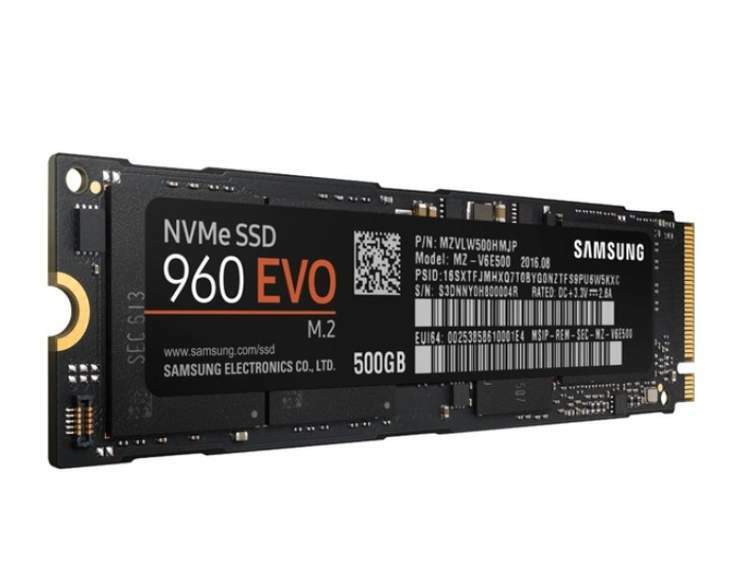 An NVMe™ interface provides enhanced bandwidth, and a new controller and Samsung's intelligent TurboWrite technology deliver next-generation performance. Included are an advanced maintenance software solution and a 3-year limited warranty, which increase its value. The 960 EVO offers the next level of performance in storage for smart consumers who want an experience beyond what the SATA interface can provide. An enhanced bandwidth, provided by the NVMe interface, combined with the new Polaris controller, facilitates sequential R/W speeds up to 3,200/1,900 MB/s and random R/W speeds up to 380/360K IOPS, respectively. 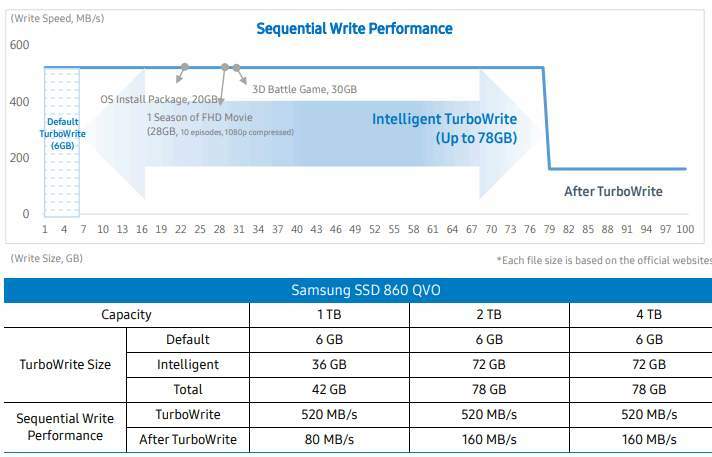 Plus, the new Intelligent TurboWrite technology accelerates write speeds even further. Great performance is not measured by speed alone. How long the performance can be sustained is also important. The 960 EVO holds its own by boasting up to 400 TBW for the 1TB model. Dynamic Thermal Guard prevents overheating, protecting the data and ensuring optimal responsiveness. It's all backed by a 3-year limited warranty. 970 for £10 more on overclockers though? Isn't it £20 more with postage? Is it 20% faster? I could look it up but I'm being lazy! I think the 970 Evos have a 5 year warranty rather than the 3 on the 960s - might be worth factoring in to the price difference too. Isn't it £20 more with postage? Is it 20% faster? I could look it up but …Isn't it £20 more with postage? Is it 20% faster? I could look it up but I'm being lazy! Prices will continue to fall if you are in no rush. Smashing that refresh on Amazon hoping for a price match. how are they fixed ? to mobo? have an asus p9x79pro has no advice in it? Was it the 950s or 960s that are 'backwards compatible' with non-NVMe m2 slots? Was it the 950s or 960s that are 'backwards compatible' with non-NVMe m2 …Was it the 950s or 960s that are 'backwards compatible' with non-NVMe m2 slots? One of them can be used in a m.2 pcie slot despite of also being a NVMe. Now is definitely a good time to invest in SSDs like this featuring TLC NAND while it’s still around. Early reports of Intel’s quad-level cell NAND SSDs aren’t promising and while QLC NVMe SSDs (all these bloody acronyms!) ARE faster than SATA drives (at least for the first part of a large file transfer), they won’t offer the same durability, longevity or sustained transfers of MLC and TLC-based SSDs. QLC is all about driving down costs, and whether this becomes the standard for consumer storage remains to be seen. Many won’t own one particular type of SSD long enough to hit the write endurance limit anyway but it’s worth bearing in mind, and in my opinion buying TLC now while it’s relatively cheap - and available - is a smart move. Now is definitely a good time to invest in SSDs like this featuring TLC …Now is definitely a good time to invest in SSDs like this featuring TLC NAND while it’s still around. Early reports of Intel’s quad-level cell NAND SSDs aren’t promising and while QLC NVMe SSDs (all these bloody acronyms!) ARE faster than SATA drives (at least for the first part of a large file transfer), they won’t offer the same durability, longevity or sustained transfers of MLC and TLC-based SSDs. QLC is all about driving down costs, and whether this becomes the standard for consumer storage remains to be seen. Many won’t own one particular type of SSD long enough to hit the write endurance limit anyway but it’s worth bearing in mind, and in my opinion buying TLC now while it’s relatively cheap - and available - is a smart move. It's not a Asus strix motherboard by any chance? You could buy a PCIe card for it (something like the Asus hyper M.2 X4 mini for example), but wouldn't be able to boot from it. So glad i got the 970 evo version for £89 last week, this is still a great price for the speed. Is this compatible with Macbook Pro 15 (2015)?